Leeds, UK, 18 September 2013 – When it started trading in January 2013, revolutionary waste removal firm Clearabee did so with just three people, one truck and an unproven idea to provide eco-friendly and cost-effective waste clearance services across the Midlands. Just six months later, it had five trucks, quadrupled its workforce and is on course to deliver more than £1 million in sales over the next year. The fast growing small business credits BigChange’s JobWatch mobile workforce management technology as being vital to its early success. Clearabee uses JobWatch to schedule routes and dispatch the most appropriate and cost-effective trucks to new jobs. Full details of each job are provided to the driver on their on-board BigChange computer. Its small back office team is able to track progress and access a complete audit record for compliance processes. Drivers compile their daily vehicle pre-use check and job specific worksheets using the BigChange computer, providing real time updates on the contents and capacity of each truck and removing the need to return to base to file paperwork. Over the next 12 months, Clearabee intends to treble the size of its fleet and open depots in Scotland and across the south of England. It will continue to rely on BigChange’s JobWatch system to underpin its ambitious growth plans. 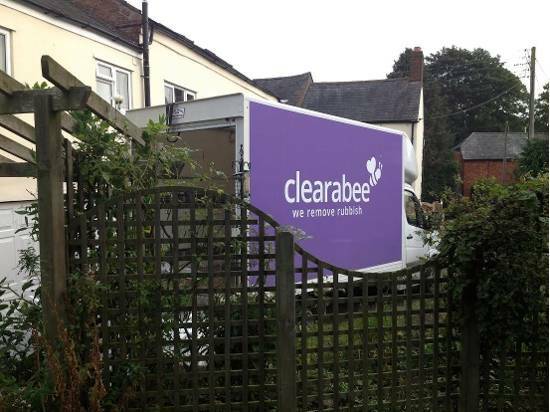 As a new business, and with costs being a major consideration for both domestic and commercial customers, Clearabee needed to run as efficiently as possible. It couldn’t afford to spend thousands of pounds on bespoke system development.